I love to dance, regularly - at home with my children, or on my own - disco turned up loud… we’ll dance to anything, as long as no-one else is watching. But I’m not a 'dancer’ and to me, a visual artist and someone who manages a gallery and participatory arts organisation, the dance world is an alien one - a fun, beautiful and engaging one - but still otherworldly and unfamiliar. What I do know, though, through my work here at darts, is all about people. The people we already connect with and the people we want to connect with. I am part of an award winning team of artists, makers, musicians, performers and support staff who design and deliver creative programmes which inspire learning, build good emotional health and strengthen professional practice for people of all ages who live, work or learn in Doncaster. Our home, The Point, is a friendly and welcoming place which is open to all and we deliver an array of creative activity here and in communities across the borough. As a company, we have almost three decades of experience in enabling disabled children and young people to enjoy and achieve in the arts. Our artists have gained significant expertise and success engaging those with profound and complex needs and we have extended our use of Makaton to aid communication in our sessions. Going into the partnership with People Dancing on their 11 Million Reasons to Dance strategic tour – which supported disabled people to participate in dance and changed perceptions of dance and disability – we didn’t just want to do what we already knew. It would have been easy to show the exhibition and then run workshops with people who are already involved in what we do. Some of that did happen of course - we wouldn’t want to exclude our existing, brilliant partners from such a great opportunity. But we knew that we had to broaden the reach. One of the things that we really wanted to explore was working with professional disabled dancers and we were able to work with Stopgap dancers Siobhan and Nadenh in the exhibition space to share ‘Crossing Borders’ with an audience of participants from the programme. Through and alongside the 11 Million Reasons to Dance strategic touring programme we ran engagement sessions for the young people and adults from the Communication Specialist College and partnered with the Purple Patch group, with learning disabled adults. We invested in a silent disco and compiled a fantastic playlist that enabled every visitor to get involved in their very own dance experience. 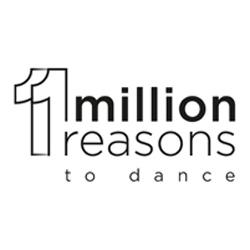 The 11 Million Reasons to Dance exhibition and project flew by fairly quickly, but we’ve been successful in planning a much longer programme of events, experiences and professional performances over the last couple of years. In Summer 2017, Stopgap came back to perform at the DN Festival, led by our partners Right Up Our Street. The annual festival animates indoor and outdoor town centre spaces, offering audiences the chance to experience new, exciting and high quality artistic work as well as developing residents' skills as festival stewards, ambassadors and programmers. In 2018 ‘better supporting access and participation of D/deaf and disabled audiences’ has been one of the festival's four main areas of development. In 2018, the space themed Summer festival featured ‘Mirror Mirror’ by Mind the Gap - a leading learning disability theatre company creating work for UK and international audiences. The festival had Makaton signage across the whole site and all the volunteers received basic Makaton training. There were also BSL signed performances and a BSL Princess Leia who roamed the festival site, interacting with audiences. Our own programming at The Point and across Doncaster in our partner settings - schools, the college and in communities - is rich in opportunities for disabled people to take part and to share their creative outputs, whether through performance, exhibitions and online. Our next step is to find professional disabled dancers, artists and musicians who can collaborate with us to deliver workshops and develop programmes of activity to provide a more consistent, ongoing offer. It seems that the dance world isn’t quite so alien to me after all... Although I’m still only dancing in my kitchen! Helen Jones, Assistant Director at darts (Doncaster Community Arts).